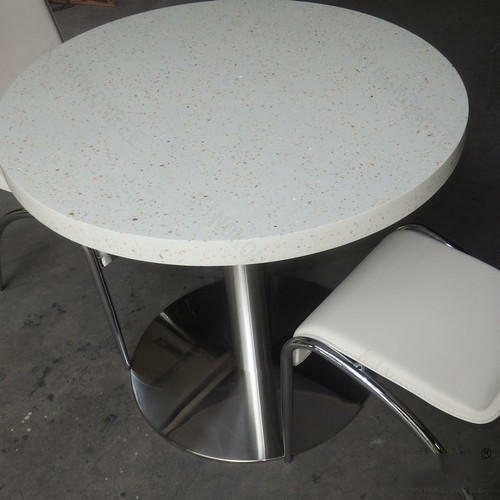 Pioneer in the industry, we are engaged in offering an impeccable range of Solid Surface Study Table. We, Carvings Surfaces Private Limited, established in 2013, are leading Manufacturer and Trader of Solid Surface, Solid Surface Reception Desks, Coffee Counter, Bathroom Basin, Bathroom Sinks, Solid Surface Study Table, Office Table, Surface TV Unit and much more. It is tough, durable and bendable and a perfect choice for worktop and sink combinations. It is also ideal for wall panels, tabletops, bar tops, bank counters, telephone counters, washbasin counters and window sills because its all about surfaces and your life revolves around them.